Unlike the red-hot smartphone market that continues to grow, with new models appearing at a blistering rate, the tablet market is, well….a little boring. Apple still releases a few iPads every year, and Microsoft’s efforts with its Surface products has sparked some interest in Windows tablets, but Android tablets just do not seem to be a priority for OEMs, especially at the high-end of the price scale. There have been a few notable products released over the past few months, though, including a new premium Android tablet, Samsung’s Galaxy Tab S3, to compete with the iPads. Samsung also announced a new Windows 10 tablet at MWC 2017, the Galaxy Book, which focuses on productivity and the enterprise. Apple also made a few changes to its iPad lineup. Both the iPad Air 2 and the iPad Mini 2 have been discontinued. The 32GB iPad Mini 4 has also been eliminated, leaving the 128GB Mini 4 as the only small-screened iPad option. To fill the void at the lower end of its lineup, Apple introduced a new 9.7-inch model simply (and confusingly) named iPad, which starts at $329. With so much activity in the smartphone market, along with our current staffing shortage, we’ve fallen behind in our tablet coverage. Normally we only recommend products we’ve reviewed, but we’re relaxing this requirement for tablets, so some of the following recommendations are based on limited time with the product or our intuition. The best Apple has to offer, the iPad Pro aims to blend productivity with media consumption. Productivity improvements come mostly from iOS 10’s new split-screen multitasking features and by adding accessories. The Apple Pencil, which costs $99, is comfortable to hold and easy to use. It works great for taking notes at work or school, and creative types can use it for drawing and inking. There’s also the Smart Keyboard—$149 for the 9.7-inch or $169 for the 12.9-inch—that improves the typing experience. It uses the Smart Connector for transferring data and power, so there’s no need for Bluetooth pairing or recharging a keyboard battery. Like all keyboard covers, however, Apple’s Smart Keyboard is not very sturdy and difficult to use on anything other than a table. The larger 12.9-inch iPad Pro comes with a 2732x2048 (264ppi) IPS display and weighs either 713 or 723 grams (a little more than 1.5 pounds) for the Wi-Fi only or Wi-Fi + LTE models, respectively. Weight drops to 437 or 444 grams (just less than 1.0 pound) for the 9.7-inch iPad Pro, which comes with a 2048x1536 (264ppi) IPS display. Both Pros include Apple’s Touch ID fingerprint sensor, four external speakers (and 3.5mm headphone jacks), 802.11ac Wi-Fi with MIMO, and Apple’s speedy A9X SoC. There are a few other differences between the two Pros beyond screen size and weight, partly because the two different models were released several months apart. The 9.7-inch iPad Pro’s True Tone display adjusts the white point in response to ambient lighting, and it also supports the DCI-P3 color gamut. There’s also a much improved antireflective coating applied, which is the best I’ve ever seen and makes a huge difference in screen legibility. The smaller Pro also has better cameras: resolution increases from 1.2MP to 5MP for the front-facing camera, while the older 8MP f/2.4 camera gets updated to the 12MP f/2.2 module from the iPhone 6s, adding the ability to record 4K video and improving slow-motion video to 1080p120 or 720p240 instead of 720p120. The 9.7-inch iPad Pro starts at $599 (32GB, Wi-Fi) or $729 (32GB, Wi-Fi + LTE), while the 12.9-inch iPad Pro starts at $799 (32GB, Wi-Fi) or $1029 (128GB, Wi-Fi + LTE). 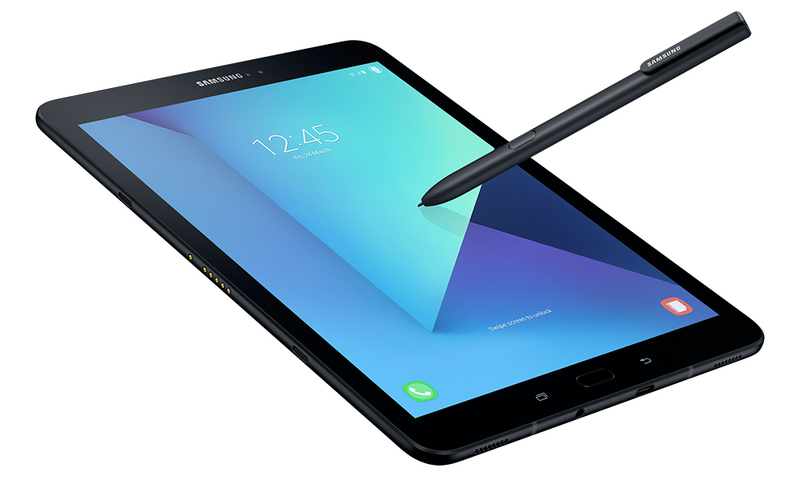 Samsung’s Galaxy Tab S3 is a premium Android 7.0 tablet that sandwiches an aluminum frame between edge-to-edge glass on the front and back and weighs in at 429 grams (0.95 pounds). The 9.7-inch 2048x1536 SAMOLED display covers 97% of the DCI-P3 color gamut and also includes a blue light filter to reduce eye strain while reading. Inside is a Qualcomm Snapdragon 820 SoC and 4GB of LPDDR4 RAM. There’s only 32GB of internal storage, though, which is pretty limiting for a tablet. Fortunately, additional storage can be added with a microSD card. There’s also a 6000mAh battery that supports Adaptive Fast Charging. 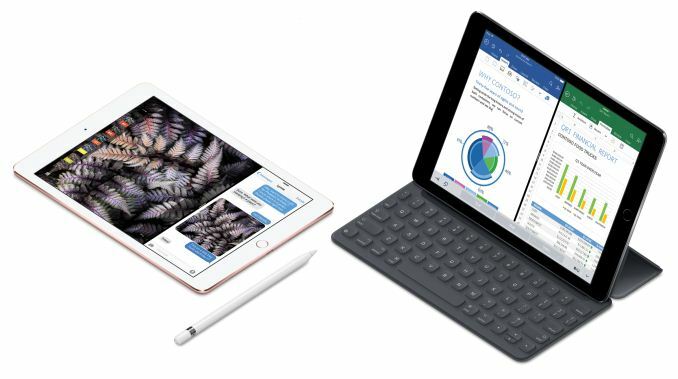 Like the 9.7-inch iPad Pro it’s competing with, the Galaxy Tab S3 blends media consumption with productivity. Its HDR-ready display and four external speakers that adjust audio response when the tablet is shifted between portrait and landscape makes it a "9.7-inch home theater solution," according to Samsung. Its productivity play is similar to the iPad’s, namely multi-window capability from the OS coupled with Samsung’s S Pen and optional keyboard accessories. The S Pen, which comes bundled with the tablet, uses Wacom technology to provide pressure and angle sensitivity. It also does not use batteries so it never needs to be charged. The Galaxy Tab S3 costs $600 (32GB, Wi-Fi), the same as a similarly configured 9.7-inch iPad Pro. Microsoft’s Surface Pro 4 is more of a laptop with a detachable keyboard than a true tablet. It’s built from PC components and runs Windows 10, which makes it more suitable for productivity than media consumption—basically the opposite of the pure tablet options. 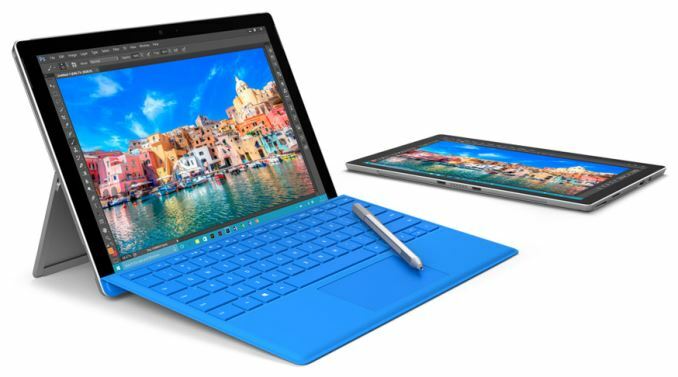 The Surface Pro 4 comes in more configurations than can be listed here, with prices ranging from $699 for the fanless model that includes an Intel Core m3-6Y30 CPU, 4GB of RAM, and a 128GB PCIe SSD, all the way to $2699 for a dual-core Intel Core i7-6650U, 16GB of RAM, and a 1TB PCIe SSD. The battery capacities also vary based on CPU choice. While the base model is similar in price to the 12.7-inch iPad Pro once you factor in what Apple charges for accessories, the higher SKUs make them more like laptop replacements than tablets considering the performance and price. All Surface Pro 4 models come with a 12.3-inch 2736x1824 (3:2 aspect ratio and 267ppi) display, dual front-facing speakers, 802.11ac Wi-Fi, and a microSD card reader. The magnesium chassis looks professional and keeps weight in check (766 or 786 grams). The Core i5 and Core i7 models are not able to be passively cooled like the Core m3 model and must use a fan for cooling. The Microsoft Surface Pen, which costs $60, comes bundled with all but the base model, and supports 1,024 levels of pressure sensitivity. There’s even an eraser on the end. Microsoft's Surface Type Cover, which is not included with the tablet, costs $129 or $159 if you opt for the version that has a fingerprint scanner for authentication. Apple’s newest iPad is not really new at all, but a combination of existing parts primarily from the iPad Air 1, iPad Air 2, and iPhone 6s. The aluminum shell comes from the iPad Air 1, giving the new iPad the same dimensions and weight. The 9.7-inch 2048x1536 IPS display also comes from the iPad Air 1, which means the cover glass is not laminated to the panel like on the newer models and lacks the more sophisticated antireflective coating. Most of the motherboard components come from the iPhone 6s, including an Apple A9 SoC, with a dual-core Twister CPU and PowerVR GT7600 GPU, paired with 2GB of LPDDR4 RAM. Its 32.4Wh battery has 18% more capacity than the 9.7-inch iPad Pro and the outgoing iPad Air 2, which should further boost battery life, especially when paired with the phone SoC. The iPad Air 2 donates its 1.2MP f/2.2 front-facing camera and 8MP f/2.4 rear camera, neither of which is anything special. Basically this new iPad is a slightly thicker and heavier iPad Air 2 with a bigger battery and a lower price. The 2x2 802.11ac Wi-Fi only version costs $329 for 32GB of storage and $429 for 128GB. The Wi-Fi + LTE version costs $459 for 32GB and $559 for 128GB. The iPad Mini 4’s only advantage is its smaller size. Its 7.9-inch 2048x1536 (326ppi) display makes it noticeably smaller in every dimension relative to the new 5th generation iPad, with weight dropping from 469 grams to only 299 grams. It uses the slightly older Apple A8 SoC that first appeared in the iPhone 6 and 6 Plus, but comes with 2GB of RAM like the 9.7-inch iPads, enabling support for iOS 10's split-screen multitasking feature; however, its smaller screen means that you'll often only use the iPad Mini 4 with a single app at a time, so the additional RAM is mostly useful for keeping additional Safari tabs and apps in memory. There are still some use cases for split-screen view, though, like pinning a chat app to one side. You also get full sRGB coverage on the display, along with laminated cover glass and Apple's AR coating which reduces reflections and increases effective contrast. The iPad Mini 4 comes with the same cameras, wireless connectivity options, and Touch ID fingerprint sensor as the new 5th generation iPad. 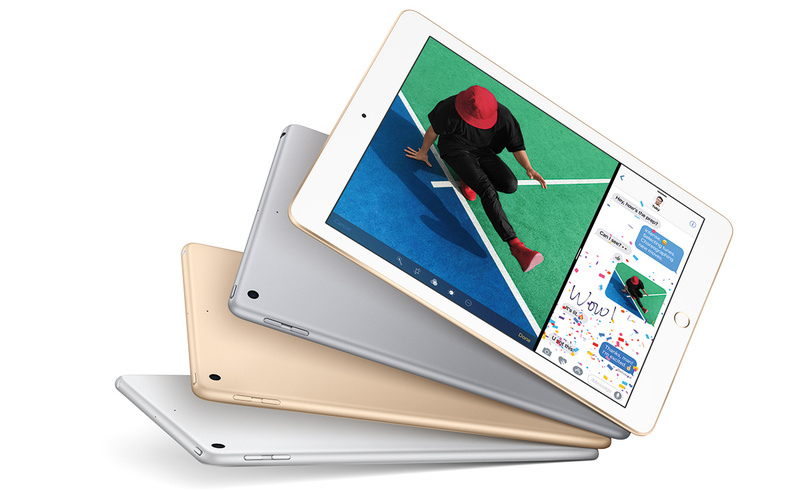 The iPad Mini 4 is not a particularly good value compared to the new 9.7-inch iPad. With a starting price of $399 for the 128GB Wi-Fi model, it costs more than the entry-level iPad and is only $30 less than a 128GB iPad, making it a tough sell unless you really need the smaller size. There’s also 128GB Wi-Fi + LTE version for $529. Huawei’s MediaPad M3 comes with an 8.4-inch 2560x1600 (16:10 aspect ratio) IPS display that is one of the sharpest displays (359ppi) you'll see on a tablet, with most other Android tablets of this size and resolution using PenTile AMOLED panels that have reduced red and blue subpixel density causing issues with text rendition. 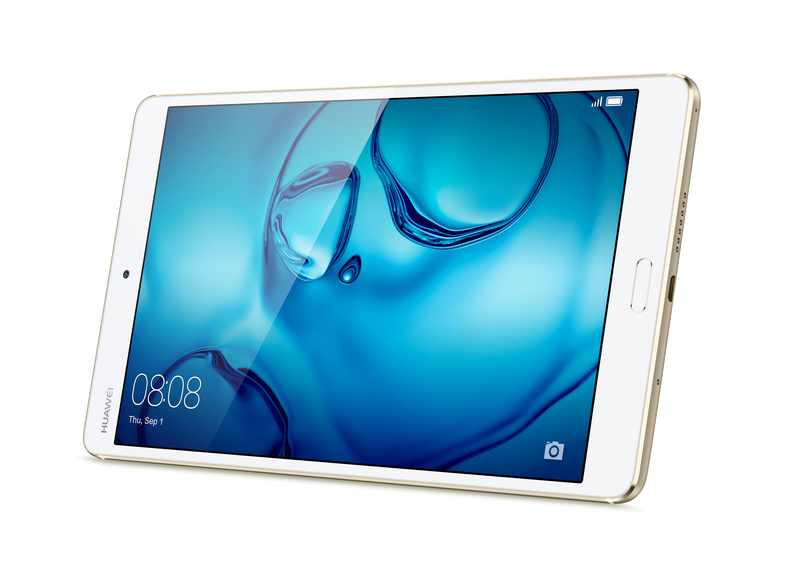 Powering this media-centric tablet is HiSilicon's Kirin 950 SoC, which is also found in Huawei’s Mate 8 and Honor 8 flagship phones, paired with 4GB of LPDDR4 RAM, and either 32GB or 64GB of internal storage with microSD support. There’s also 802.11ac Wi-Fi, a fingerprint sensor integrated into the physical home button, and stereo speakers built into the left and right sides of the aluminum chassis. The Wi-Fi only version costs $299 for 32GB of storage and $349 for 64GB. There’s also a Wi-Fi + LTE version sold outside the US. 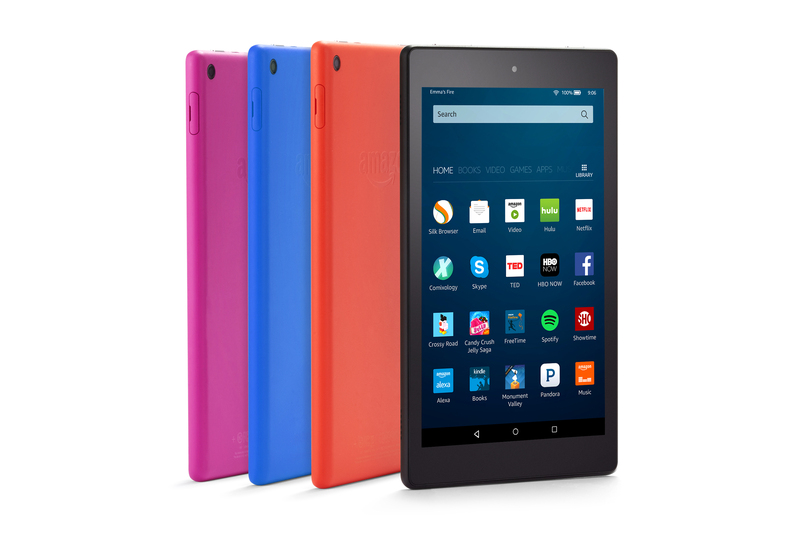 The Amazon Fire HD 8 is a good choice for an inexpensive Android tablet geared specifically towards media-consumption. It has an 8.0-inch 1280x800 (189ppi) IPS display, and is powered by MediaTek's MT8163 SoC, which uses a 1.3GHz quad-core Cortex-A53 CPU, paired with 1.5GB of RAM. Performance is hardly mind-blowing, but the point of the Fire HD 8 is that it starts at only $90 for the 16GB model. The caveat is that you’ll see ads on the lock screen and parts of the launcher. Paying an extra $15 removes the ads, and given that the ads are not really intrusive, I would imagine that the most price-conscious customers would opt to just keep them. There’s also a 32GB model that costs $120. Internal storage is tight for a media-oriented tablet, but it’s possible to expand storage with a microSD card. It’s important to note that the Fire HD 8 does not have access to Google services. This means no Gmail app, no Chrome, no Youtube, and no Google Play. Amazon's own app store has most of the big names in the mobile app space, and the intended target market for these devices are not users who really make heavy use of apps anyway. Amazon Prime users have a lot to like about it, though, especially those in markets where Amazon's media services like Prime Video and Prime Music are available. Heavy readers will also have easy access to Amazon's library of eBooks. The Fire HD 8 even includes Amazon Alexa voice service now. NVIDIA’s little tablet has been around forever, but despite its older hardware it’s still a capable device. NVIDIA also continues to provide software updates—it just recently received an update to Android 7.0—which is pretty amazing since it’s almost 3 years old now (it originally shipped with Android KitKat 4.4.2). The SHIELD Tablet’s software is also notable for providing a clean, stock Android experience and includes access to Google’s apps and services as you would expect. Being a product made by NVIDIA, it should be no surprise that it’s geared towards gaming and media consumption. The included SHIELD Hub app is the gateway to all of your gaming and media content, giving you convenient access to your existing titles, and allowing you to shop for new ones. It also gives you access to NVIDIA’s GameStream service that allows you to play your PC games on the tablet, which is a cool feature (the games run on your PC with NVIDIA GPU and the video output is streamed over Wi-Fi), and it’s compatible with the GeForce NOW cloud gaming service. 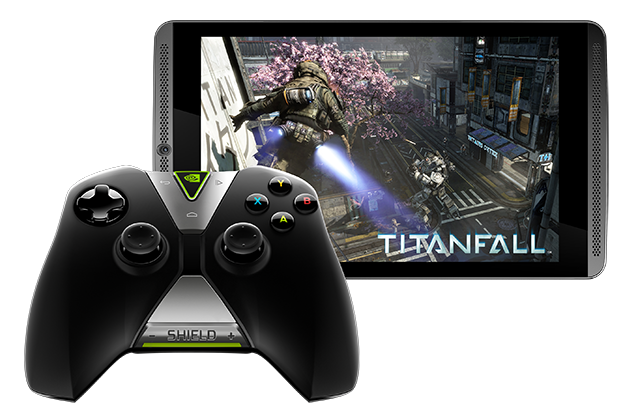 To take full advantage of the SHIELD Tablet’s gaming options, you’ll need to buy the optional wireless SHIELD controller for $60. It comes with an 8.0-inch 1920x1200 IPS display that can feel a little cramped when playing PC games, and its less-than-sRGB color gamut hurts color accuracy, but you have to expect some concessions at this price point. Inside the plastic chassis is NVIDIA's Tegra K1 SoC with a quad-core Cortex-A15 CPU and a single SMX (192 core) Kepler GPU paired with 2GB of RAM. There’s only 16GB of internal storage, but you can use a microSD card to add more. Other perks include front-facing stereo speakers and a Mini-HDMI port with HDCP 1.4 output for connecting the tablet to an external TV for gaming on the big screen. The SHIELD Tablet K1 costs $200. Accessories include a flip cover that doubles as a stand for $40 and the aforementioned SHIELD controller for $60.